Twelve Nobel Peace Prize laureates have written to President Barack Obama asking the US to close the dark chapter on torture once and for all. 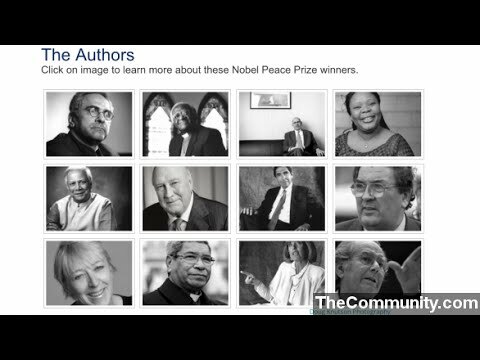 Twelve fellow Nobel Peace Prize laureates have written an open letter to President Barack Obama, urging the 2009 recipient of the award to finally close one of the “dark chapters” of recent U.S. history by first acknowledging, and then rejecting, the “flagrant use of torture and other violations of international law” that have been conducted in the name of “fighting terrorism” since 2001. Written by the laureates as members of the Senate Intelligence Committee continue to press the White House and CIA on disclosing the findings of their investigation into some of the worst practices of inhumane treatment during the presidency of George W. Bush, the letter argues that the damage done by these acts has been not been isolated to the individual victims of U.S. torture. Full disclosure to the American people of the extent and use of torture and rendition by American soldiers, operatives, and contractors, as well as the authorization of torture and rendition by American officials. Full verification of the closure and dismantling of ‘black sites” abroad for the use of torture and interrogation. Clear planning and implementation for the closure of Guantanamo prison, putting an end to indefinite detention without due process. Adoption of firm policy and oversight restating and upholding international law relating to conflict, including the Geneva Convention and the UN Convention against Torture, realigning the nation to the ideals and beliefs of their founders – the ideals that made the United States a standard to be emulated. In addition to South Africa’s Archbishop Desmond Tutu and former President of East Timor José Ramos-Horta—who won the Nobel Prize in 1984 and 1996 respectively and spearheaded the effort—the letter was signed by ten other laureates, including: Mohammad ElBaradei of Egypt, 2005; Leymah Gbowee, Liberia, 2011; Muhammad Yunus, Bangladesh, 2006; Óscar Arias Sanchez, Costa Rica, 1987; John Hume, Northern Ireland, 1998; F. W. de Klerk, South Africa, 1993; Jody Williams, United States, 1997; Bishop Carlos X. Belo, East Timor, 1996; Betty Williams, Northern Ireland, 1976; and Adolfo Pérez Esquivel, Argentina, 1980.